Since the number of heart failure (HF) patients is still growing and long-term treatment of HF patients is necessary, it is important to initiate effective ways for structural involvement of primary care services in HF management programs. However, evidence on whether and when patients can be referred back to be managed in primary care is lacking. 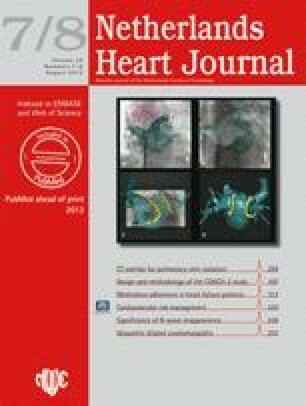 To determine whether long-term patient management in primary care, after initial optimisation of pharmacological and non-pharmacological treatment in a specialised HF clinic, is equally effective as long-term management in a specialised HF clinic in terms of guideline adherence and patient compliance. The study is designed as a randomised, controlled, non-inferiority trial. Two-hundred patients will be randomly assigned to be managed and followed in primary care or in a HFclinic. Patients are eligible to participate if they are (1) clinically stable, (2) optimally up-titrated on medication (according to ESC guidelines) and, (3) have received optimal education and counselling on pre-specified issues regarding HF and its treatment. Furthermore, close cooperation between secondary and primary care in terms of back referral to or consultation of the HF clinic will be provided.The primary outcome will be prescriber adherence and patient compliance with medication after 12 months. Secondary outcomes measures will be readmission rate, mortality, quality of life and patient compliance with other lifestyle changes. The results of the study will add to the understanding of the role of primary care and HF clinics in the long-term follow-up of HF patients. The Netherlands Heart Foundation (NHF) financially supports the study as one of their research programs (2008B083).